We’d love your help. Let us know what’s wrong with this preview of Constructing the Ineffable by Karla Britton. Throughout the history of the built environment there has been no more significant endeavor than the construction of houses of worship, which were once the focal point around which civilizations and city-states developed. Constructing the Ineffable is the first book to examine this topic across continents and from the perspective of multiple faiths, including Christianity, Throughout the history of the built environment there has been no more significant endeavor than the construction of houses of worship, which were once the focal point around which civilizations and city-states developed. 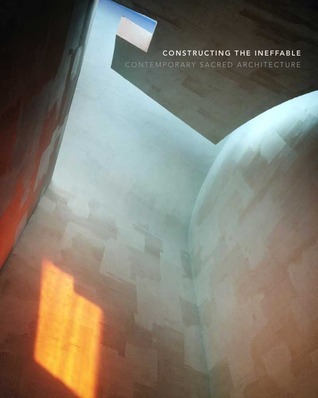 Constructing the Ineffable is the first book to examine this topic across continents and from the perspective of multiple faiths, including Christianity, Judaism, Islam, and Baha'i. It addresses how sacred buildings such as churches, mosques, synagogues, and memorials are viewed in the context of contemporary architecture and religious practice. To ask other readers questions about Constructing the Ineffable, please sign up.